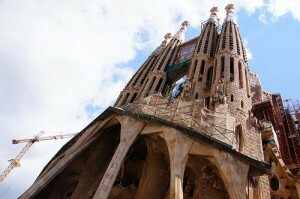 Coolest Five Cities in the Spanish Speaking World! Looking to go travelling? Speak Spanish? Then you have plenty of options available to you – a whole continent and then some! Read on here to find our list of the best cities to visit in the Spanish-speaking world. Starting off in actual mainland Spain – although some locals will tell you it’s Catalonia – Barcelona is one of the most exciting cities in all of Europe. The city not only has a beach, some of the most impressive architecture around and the best football team on the planet, but it is also filled with some of the friendliest people you’ll ever meet. After a day exploring the works of Gaudí, such as the Sagrada Familia, and an evening of watching Messi and co. take to the Camp Nou field, enjoy a night out in this lively city that likes to party until the sun comes up over the beaches. This truly is the city where Europe meets Latin America. With designer shops, theatres and a generally European city centre, Buenos Aires then sprawls out into its little suburbs with winding streets, cute little bars and lots and lots of football fields. If that isn’t Latin enough for you then take a trip to one of the city’s huge markets or a Latin nightclub where you’ll dance the night away to the funky rhythms. As the main gateway to Machu Picchu, Cuzco is a city full of travellers and its welcoming nature makes it a favourite among tourists to the continent. With people coming and going, no two nights out in Cuzco will ever be the same nor will you even spend it with the same nationalities. There could be Americans and French dancing the night away one night, while the same nightclub could be welcoming Australians and Mexicans the next! You don’t a fantastic view of the snow-capped Andean mountains from most cities, but from most streets on Santiago you do! 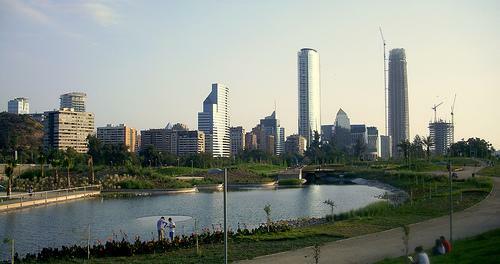 The Chilean capital, aside from its grid-ironed centre, is another city that loves to enjoy life. Especially through food! While most people couldn’t name a specific Chilean food, the city loves to eat and there are a whole range of local delicacies that you’ll want to note down and take the recipe if you can for the future. Although not as famous, nor nearly as big, as Mexico City, Guadalajara is perhaps the most Mexican of all the country’s cities. If looking for the typical Mexican delights such as tequila, mariachi and the famous foods of the country then Guadalajara is the place to be. While tourists do visit, you won’t find as many as in some of the other more famous Mexican cities. The city is yours for the taking! So there you go! Five cities where you can both practice your Spanish and have a lot of fun. Disfruta!